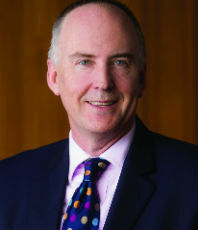 In 2016, Lloyd Kavanagh and his team were ranked Band 1 for investment funds by Chambers – the first year the sector has been included for New Zealand. This reflected an impressive number of ‘firsts’ by his team under the new Financial Markets Conduct Act last year, including first MIS licence, first PDS offer, first NBDT transition and first KiwiSaver transition. Kavanagh is also a thought leader in governance, securities and AML/CFT law, and was recognised for his law reform work when he was made a Fellow of INFINZ. He earned a certificate in corporate governance from INSEAD in 2015.